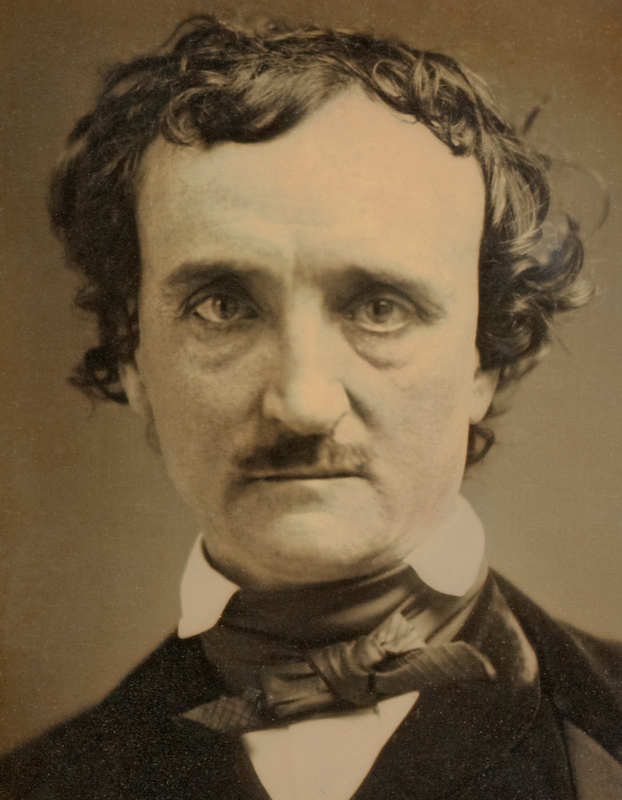 This week marks the 167th anniversary of the strange events leading up to the death of Edgar Allan Poe, and as Poe focused so often on people being buried alive, it seems fitting that I take a little time to examine what the newspapers reveal. Poe’s “The Premature Burial”, by the way, was published in 1844, in The Philadelphia Dollar Newspaper. You can read a little about the background on that in this Wikipedia entry. Of course, that Wikipedia entry states that the idea of being buried alive was quite a concern for folks in the early 19th century, and served as Poe’s inspiration. The newspapers, however, tend to suggest something a little different… that it became a bigger topic of conversation after 1852. After looking in both newspapers.com and newspaperarchive.com, I’ve come up with some interesting stats. Keep in mind, however, that the two sites don’t have all of the newspapers ever printed in the United States for that time, but have a finite set which provide data for my analysis. First, I find the number of times “buried alive” appears shows a trend. When I crunched my search to 1740-1861, the phrase appeared 1,764 times. Narrowing that a bit more, to 1850-1861, it appears 1,048 times. So, the heaviest appearance does seem to indicate an increased concern (or, at least newsworthy) after 1850. Without delving into each and every article, however, it’s hard to say how many times one particular story is repeated in other newspapers. So, looking to newspaperarchive.com for some comparative figures, I found the phrase appears a staggering 600,816 times, total. Between the 1770s and 1860s, it appears 9,646 times… but, breaking it down into decades, I find the numbers even more intriguing. Remarkably, despite the improvement in preparations of the dead for burial, the number actually increases well into the 20th century, and continues to remain large even into the 21st century. The highest number of references to being buried alive? The 1970s… (62,805)… thank you, Vincent Price??? Here and there, throughout the month… in the continued spirit of the “season”… and for the benefit of those who find such stories of interest (as I mentioned in the last post… that dark veil of Poe’s imagination casting a shadow on that era)… I’ll be interjecting individual stories from before the Civil War, of people almost being buried alive. 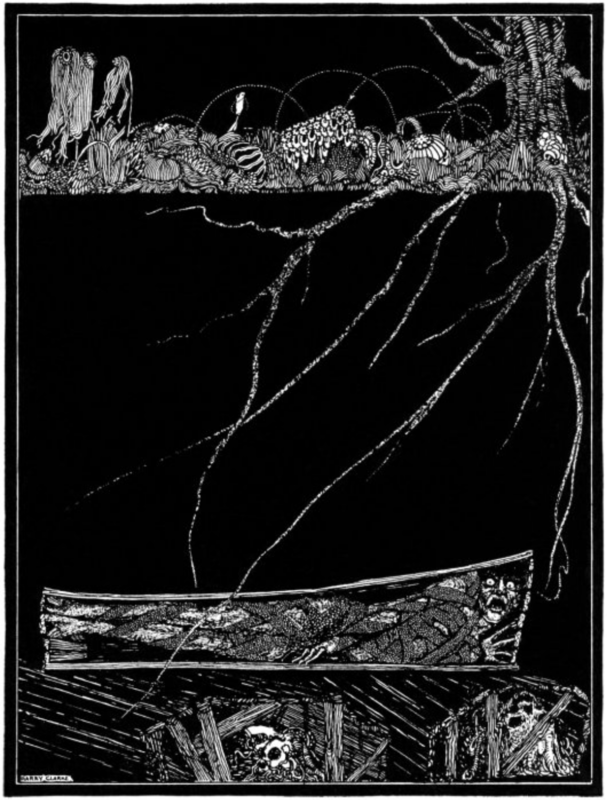 Illustration for Edgar Allan Poe’s story, “The Premature Burial”, by Harry Clarke (1889-1931), published in 1919. A couple of factors that might influence these distribution might be that (1) more newspapers survived to be digitized from more recent period, and (2) there were simply more papers later on, period, as an increasing proportion of the population became literate and consumers. Still, it’s a neat way to measure how much an idea catches on, and becomes a topic of fascination and open discussion. I also found that the key phrase search “buried alive” can lead to things other than “premature burial”. There were stories, for instance, in which people were trapped in a rock slide or something similar. It’s a pretty interesting way to check for another angle on various topics. I’ve also been playing with a few other keywords and phrases. Might post about those sometime down the line. I also think that, into the newspapers of the 20th century, the majority of the references to “buried alive”, in most cases, did not mean premature burials. Hadn’t thought of that, but absolutely, yes.